If the Swiss Army had keyrings, they would have keyrings like these! 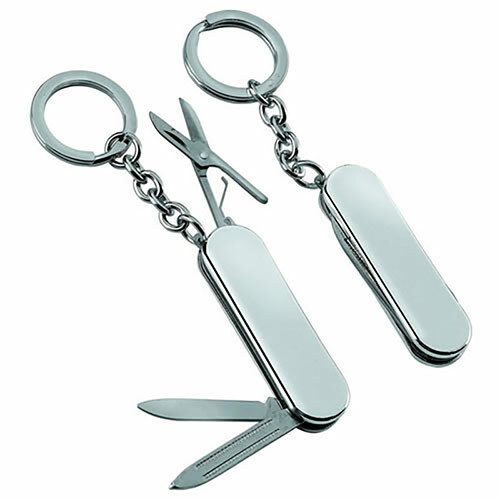 Featuring a penknife blade, file and scissors set within a metal casing with a fine quality silver plated finish, they make practical and stylish accessories. The silver plated case of this keyring is ideal for engraving, and they are offered with free text and logo engraving along with fixed price UK delivery. Perfect for corporate gifts or promotional merchandise, these silver plated keyrings are also offered with bulk order discounts (see table below for pricing information).